Surprise! 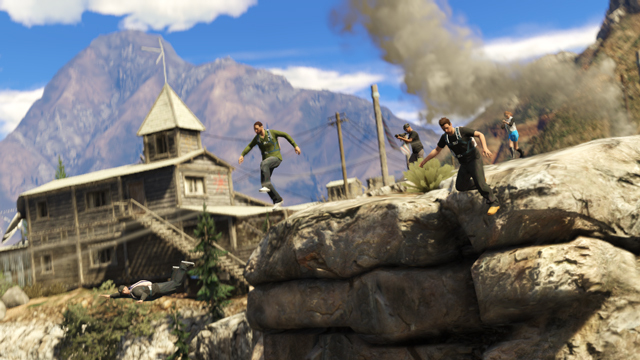 Rockstar has more GTA V single-player stories and GTA Online content in the pipeline. In case you had any doubts, Rockstar confirmed there will be Grand Theft Auto V DLC coming out next year, according to a post on their blog today. 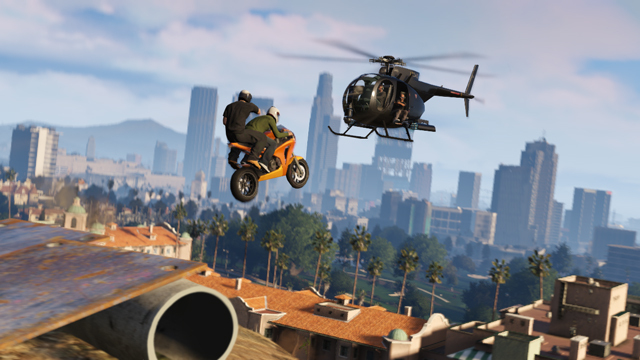 According to the post, the studio has both single-player and GTA Online updates in the works. It seems GTA Online will finally get some "heist" missions, allowing players to rob banks and kidnap people as a team. The single-player DLC will be story-based and continue to focus on the GTA V's central trio; Michael, Trevor and Franklin. The wording in the descriptions sort of, kind of suggests the GTA Online heists may launch early in the "new year," while the GTA V story DLC might be further out in "2014." That notion is totally, 100 percent speculation based on Rockstar's language, though. Don't mark your calendars just yet, people. In the meantime, Rockstar will launch a beta for the GTA Online content creator to Rockstar Social Club members this week. The "Deathmatch and Race Creators Beta," included in a new software update, will let players build levels for a set of specific mission-types, namely deathmatch, team deathmatch, race, GTA race and rally race missions. 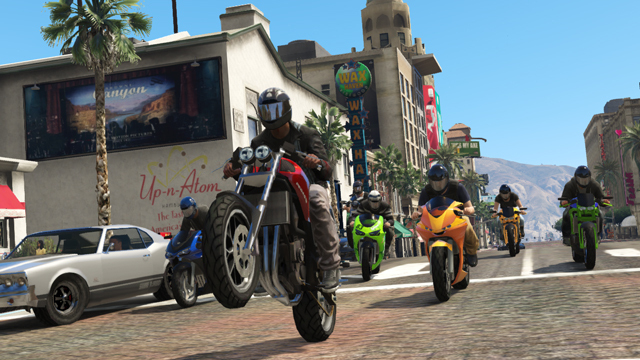 Users will be able to share their creations with others through the Social Club and, if they're really good, Rockstar says they plan to "verify" and promote their favorite user-made missions. The beta announcement comes hot on the heels of a video showing off the level editor posted last week.